More Fun Things to do in Rockcastle County, KY! Not everyone comes to Kart-O-Rama to cave and we understand that! You may be a friend or family member who comes to KOR every year to hold down the camp while your caver gets underground. Caving may not be your cup of tea but you’d be suprized at everything the campground and the surrounding area have to offer above ground. Check out the local attractions below! Located in the Red Hill area of Livingston, Just Kik-N-It Ranch specializes in outdoor adventure, providing visitors the opportunity to see a side of Rockcastle County like they have never seen it before! Rent a Canoe/Kayak and spend the day on the Rockcastle River, gear up for a guided cave tour, or take a guided horseback ride on the Daniel Boone Trace. Whatever the pleasure, be prepared for an adventure! Open 7 days a week, available by reservations only. Visit one of the last and best preserved “company” towns of the KY coalfields. Ride BSF Scenic Railway through some of the most beautiful natural mountain scenery in the state. Gain an appreciation for coal mining in KY’s history & culture. Love Fishing? Visit Lake Linville while you’re in the area! 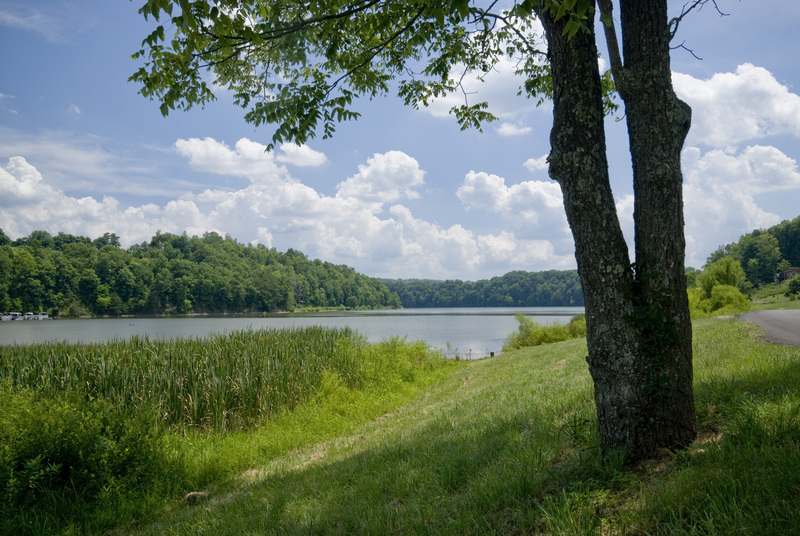 This 344-acre lake is conveniently located just off of I-75 exit 62, and is a perfect destination to spend your days and nights enjoying a little recreation and relaxation! The Lake Linville Marina is situated 1/2 mile north on Lake Linville Road and provides a boat ramp, dock, pontoon rentals, and camping. With an abundance of catfish, bluegill, bass (both large and small mouth), crappie, carp, hybrid stripers, and yellow perch, Lake Linville is sure to please. Open Bass Tournaments are also held regularly. Discover the foothills of Southeast Kentucky on horseback. Hills and streams are plentiful. Outstanding scenery and wildlife are abundant. Come ride to Windy Gap, White Oak Branch, Horse Lick Creek and other scenic locations along the trail.